What is the learning intention here? What can I say about this year's Gr. 7 students that hasn't already been said? You were all amazing students! You not only took ownership of your learning throughout the year, but you were kind and respectful to teachers and your classmates. You were truly a unique group of students and Mr. Fisher and I were lucky to have the opportunity to help you learn this year. Have a great summer and best of luck in high school! Read books that you are interested in over the summer. Don't ever forget about your reading strategies! More pics to be uploaded this coming week. Check back throughout the summer as I will periodically post. Feel free to post messages throughout the summer. Today, all of you received your elementary school certificates. You celebrated in front of your parents and peers. The students from division 1 and 2 gave excellent speeches and they will be remembered for years to come. I hope you all enjoyed the lunch and dance put on by your parents. Your parents did an amazing job organizing the day's events for all of you. It is my hope that you take the learning, friendships, and memories you made at Laurier with you when you leave our school! 1.) MATH: If you haven't returned your textbook, be sure to bring it tomorrow. 2.) LA/NOVEL APPROACH: Return all picture books and novels. Search your house for any books that haven't been returned. Click here to list what you plan on bringing tomorrow to share with your classmates. If you have any paper plates and disposable forks and spoons, please bring some. We will share snacks/food/drinks in the afternoon. Bring a lunch in case we don't have enough food for 'lunch'. The Gr. 7 celebration will begin at 9:30am tomorrow morning in the gym. Students are expected to arrive at school as usual. To the students who are giving speeches tomorrow, be sure to arrive a little bit earlier to practice inside the classroom. Mr. Fisher and I will be in class earlier than usual. Also, be sure to watch the video below to prepare yourselves for the amazing dance performance we will be putting on for the rest of the school on Thursday! The year is almost over, do you have anything to say? PARK AND BBQ DAY TOMORROW! Tomorrow, we will walk over to Oak Park for a day of fun and a bbq. Mr. Fisher and I will supply all the food, snacks, and drinks so you do not need to bring any food/lunch. There will be hot dogs, hamburgers, veggie burgers, gluten free buns, chips, juice boxes, etc. What you will need to bring is water, sunscreen, appropriate clothing, frisbee, basketball, or anything else to play with. If you have any questions, post them here. IMPORTANT: If you have any novels, textbooks, or picture books at your home, please return them TOMORROW! Especially the Novel Approach books. Double check your room! If you would like to give a speech at the Gr. 7 Celebration on Wednesday, please let me know by posting a message here or by emailing me. Ideally, we want 3 groups of students to give speeches from our class. Mr. Fisher's class will have 3 groups as well. Talk to your friends and let me know what your groups will be. Click here to read more about the speeches. Help our your fellow classmates who will be giving speeches by activating their background knowledge/memories. Posting some things here about your elementary school experience. Our trip to Camp Latona was amazing and memorable! Memories and friendships were made by all! We participated in many different outdoor activities and learned lots from our camp leaders. We enjoyed having camp fires and writing in our journals to reflect on the special times you all had at Camp Latona. There is just under a week left in your final year of elementary school. I hope that you have enjoyed it and that you have learned a lot this year. Cherish the friends and memories that you made this year! Oral and written. We will review as a class before the quiz. What were three memories that really stood out for you about our trip to Camp Latona? List them in order of importance to you and give reasons why you enjoyed and valued your time with the rest of your grade 7 friends. One more sleep until we go camping! Can you feel the excitement? We will load into the bus at 8am and depart at 8:15am. I suggest arriving between 7:45am - 8:00am. We will all meet in the gym. 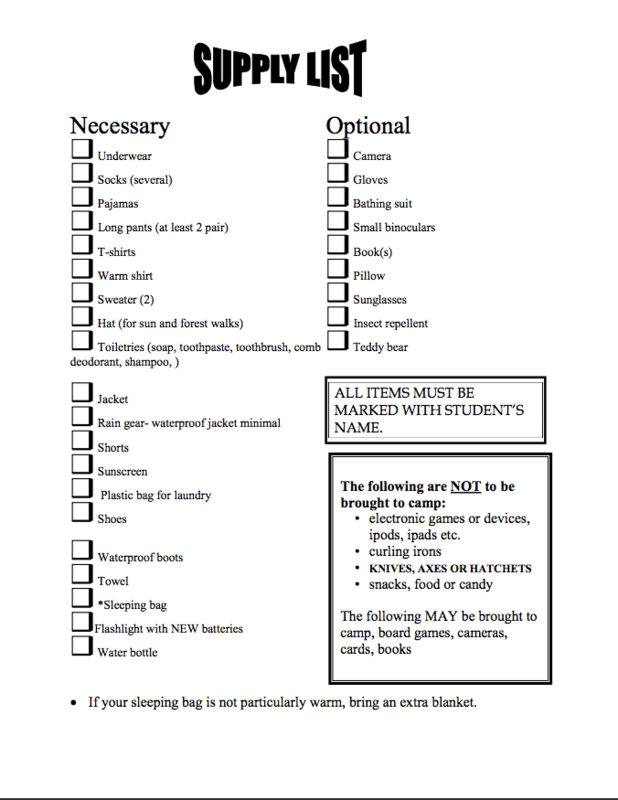 Students, make sure you pack efficiently and label your things. Click here to view the weather forecast for Gambier Island. 1.) SCIENCE LAB: Due before we leave tomorrow morning. Simply post it to your FreshGrade and comment by saying, "COMPLETED" on FreshGrade. Pack a lunch without Tupperware. Lunch will not be provided tomorrow. Post any questions or comments about our camping trip. Communicate with your classmates if anything is unclear for tomorrow. 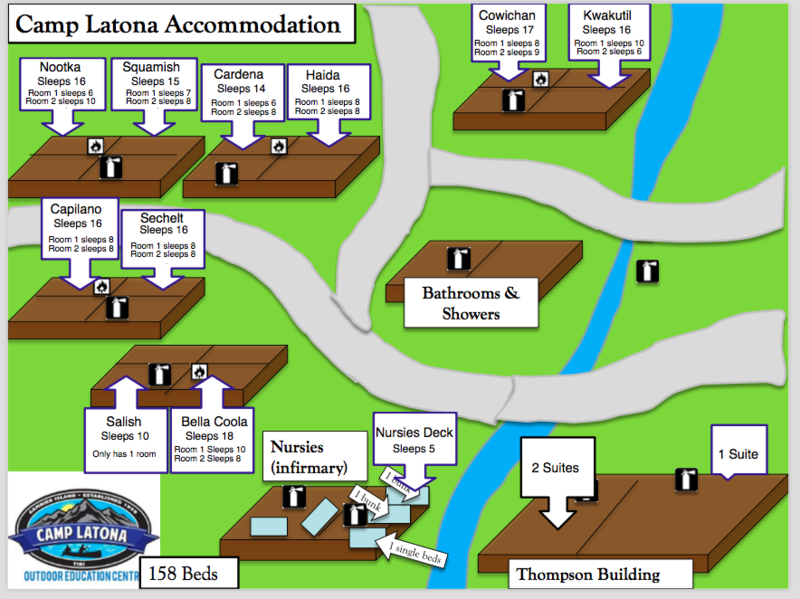 Only 2 sleeps left before we embark on an amazing adventure to Camp Latona which is located on Gambier Island. We will have a division 1 and 2 meeting tomorrow to discuss the camping trip. We will create journals for your time there so you can document the wonderful memories you will make. If you have not returned your field trip medical forms, tomorrow is the last day you can return them. There are still 5 students who have not returned these forms. If you haven't presented yet, you will be presenting tomorrow. If there is anything on your packing list that you need but do not have, post it here on the blog and maybe someone can lend you an item. To all the fathers of the division 2 students, we all hope you have a happy father's day! Click here to watch your child's message to you! Div 1 students, click here. There are only two weeks left. Remember, the learning doesn't stop until the last day! Monday (18th): Social Studies practice and presentations. Presentations should be refined over the weekend. At this point, everyone should be finished their projects. You have had plenty of time in class and expectations were clearly given to you at the start of the project as to when you needed to have it done by. You will have some time on Monday to practice presenting to a peer and some of you will present on Monday. Others will present on Tuesday. 2.) FRENCH: Quiz on Tuesday. Everything you need to know will be posted tomorrow. Very basic quiz. Lab write-ups are due before we go camping. Wednesday morning at the latest. Feel free to ask questions about camping, socials, science, or anything school related. What was your father's reaction to the video? You have been working hard on your belief systems projects over the last few weeks. Tomorrow, you will give a 5 minute maximum presentations on what you learned. You will not have to go into detail of every little thing you researched. I will be looking for all points on the presentation rubric. I am looking to see that you indeed 'learned' about the differences between each of the belief systems you chose to research. If you have any questions, please feel free to post them here or on today's blog post. IMPORTANT: I was made aware of some students not self-regulating during the VPL presentation. We will have a class meeting tomorrow morning and parents will be contacted. Postponed until Monday because of the presentations tomorrow. Use the blog to ask questions about tomorrow's presentations. Work on your science lab. You will have time tomorrow afternoon to work on it in class. Review all your research and your presentation. You will practice presenting to a peer using the presentation rubric. Post any questions on today's post.